Aggravated battery is considered a grave felony offense in Florida, one that is punishable by up to 15 years in prison, and in some cases more. 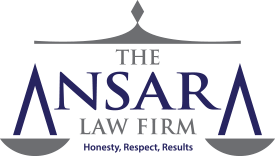 The Fort Lauderdale criminal defense attorneys at The Ansara Law Firm have spent many years successfully defending clients staring down serious time. We know the law. We know the system. We protect your rights. While an assault charge involves a credible threat of violence, a battery charge involves the infliction of actual violence. It’s the difference between saying, “I’m going to punch you!” and actually punching that person. F.S. 784.03 defines “battery” as an actual or intentional touch or strike on another person against that individual’s will. Alternatively, it could be intentionally causing bodily harm to another human being. Aggravated battery is an enhanced version of this charge that carries even more severe penalties. Aggravated battery, as defined in F.S. 784.045, is when a defendant commits battery, but with the enhancing qualifier of, in the course of doing so, intentionally or knowingly caused great bodily harm, permanent disability or permanent disfigurement OR used a deadly weapon. A person could also be convicted of aggravated battery if he or she commits simple battery one someone they knew or should have known was pregnant at the time of the attack. Used a weapon considered deadly by statute. The term “deadly weapon” most often means a firearm. However, it could be anything used in a threatening manner in way that could be used in a manner likely to result in serious bodily harm or death. For example, a hammer is not normally considered a weapon, but if you swing it toward someone’s face intentionally, it can be considered a deadly weapon. In Florida, aggravated battery is considered a Level 7 offense in terms of severity ranking. Unless there is good cause for a downward departure in sentencing, the minimum one will probably receive under this charge 21 months in prison. Although the statutory maximum penalty is 15 years under the statute, Florida’s 10-20-Life Law created stiff mandatory minimum sentences for those who had prior convictions for violent crimes involving firearms. In 2016, the 10-20-Life Law, also known as a “firearm enhancement,” was repealed with the enactment of Senate Bill 228, a bipartisan effort to give judges greater flexibility and move away from the late 1990s rigid “tough on crime” legislative approach. Under the new law, judges now have more discretion and consider mitigating circumstances. Your attorney’s ability to be persuasive on these matters will be key. Self-defense. This is a type of affirmative defense that acknowledges a violent action occurred, but asserts this action was excused on grounds it was reasonably necessary to fight back against the other person’s imminent use of unlawful force. Stand Your Ground. This is a controversial one, and it won’t work for just any case. This 2005 law doesn’t create a new affirmative defense, but is instead an extension of self-defense that holds if you reasonably believe deadly force in self-defense is necessary to prevent imminent death or great bodily harm, you may use it. What Stand Your Ground does is broaden the scope by establishing that you have “no duty to retreat.” Before the law was enacted, deadly force was only allowed in self-defense if the individual had used every other reasonable means within his or her power to avoid the danger – including to flee. Lack of intention to touch or strike. If you didn’t intentionally hit the person, you didn’t commit aggravated battery. However, acting with the intention to hit/strike absent the intention to harm is an insufficient defense. Alleged victim did not suffer great bodily harm, disfigurement or disability. Because aggravated battery is such a serious crime, it’s imperative anyone charged seek out a qualified defense lawyer who can help to protect their rights and raise any and all viable defenses.